Join us for an evening celebrating "Hanukkah: The Festival of Lights." Enjoy an array of festive musical performances, engaging tours, and family-friendly activities. Explore the MFA’s collection of Judaica, view a one-of-a-kind menorah, and join a community candle lighting. 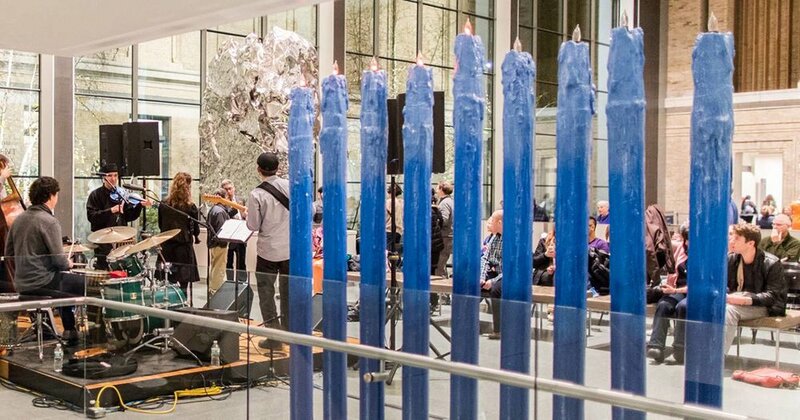 Hanukkah at the Museum of Fine Arts, Boston, is presented in partnership with the Jewish Arts Collaborative (JArts) and CJP - Combined Jewish Philanthropies of Greater Boston. Supported by an anonymous donor. Menorah Installation: Ziv by Somerville-based artist Ariel Basson Freiberg (Ariel Freiberg Paintings). James McClurkin, of CNC Furniture Factoryassisted with the menorah’s fabrication. 5:30 pm Talk is ASL Interpreted.